I’ve just finished this in the last five minutes, so my thoughts haven’t fully gelled. 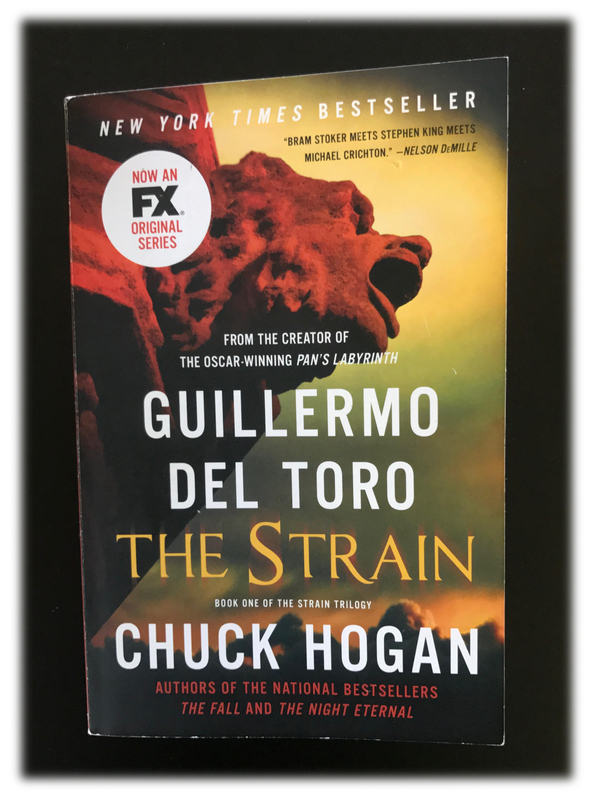 I found The Strain as a TV show on FX, where Guillermo del Toro’s involvement instantly had my full attention. I loved the show, so learning there were books (!) that came first was immensely exciting. On holidays, my children know I want books. For my February birthday, my son asked what was on my list. I mentioned The Strain and he presented me with the whole trilogy. He likes matching sets, he explained, and was concerned I wouldn’t be able to find the same edition later. If you’re a fan of the show, there are character absences to get used to – Dutch, easily understood, and Eichorst. No Eichorst, taunting Setrakian as A230385? But he too is unnecessary in this new but older scheme of things. There are several shifts and losses here – Setrakian from a God-fearing teen to a man who knows evil roams the earth with little to check it, Eph Goodweather from a doctor who heals to someone who must rearrange his notion of death and learn to kill. But I’m early into the tale, and these explorations are best saved for when everything has unfurled. This book taps into the most exciting part of dystopia – when the world is crashing down and those left are still trying to figure out the new rules. In this case, there is someone who believes he knows the rules, but even he does not have all of the information needed. You know how when you finish a good book, you wish it hadn’t ended, that there was more? That’s what’s so great about trilogies. I’m picking up the next one in just moments.